For three glorious days, nearly 1000 musicians performed over one-hundred concerts at thirteen outdoor and indoor stages throughout downtown San Jose. The “vibe” was inviting, the crowds were friendly and diverse and the weather was spectacular. In addition, there was dancing at the Salsa Stage, fast-food, fine dining, libations, film screenings, a jazz mass, a family zone and an after-hours “Club Crawl” for those who couldn’t get enough. 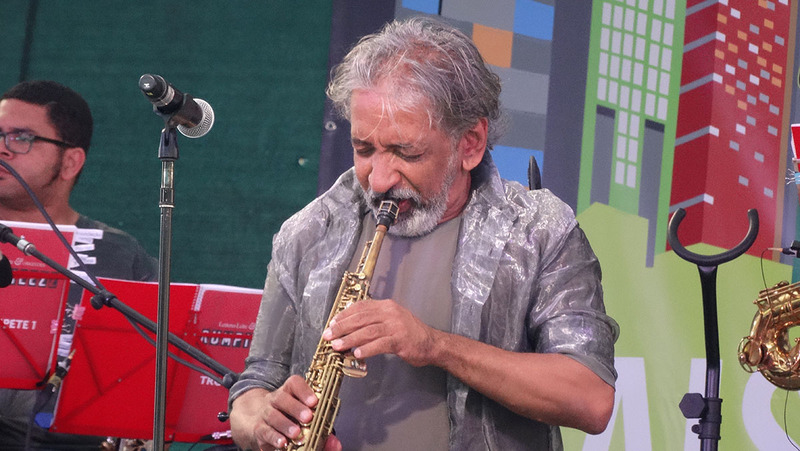 It was all part of the San Jose Jazz Summer Fest, which was founded in 1986, produced its first jazz series in 1987 and its first official festival in 1989, on one stage. Now, in its 26th year, the festival has evolved into a year-round arts organization that strives to enrich the community through music education and performance and is the South Bay’s biggest and most exciting cultural event. From August 6th to the 9th I covered the San Jose Jazz Summer Fest. Along the way, I encountered a wide variety of music. 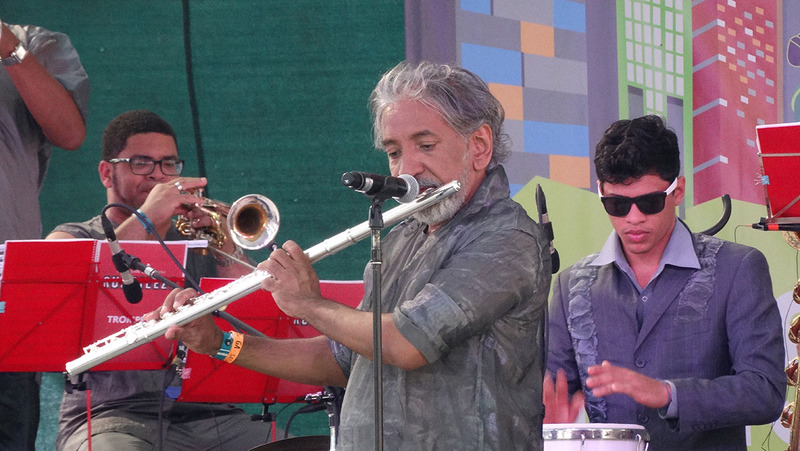 This is the second in a series of Live Reports from the San Jose Jazz Summer Fest. 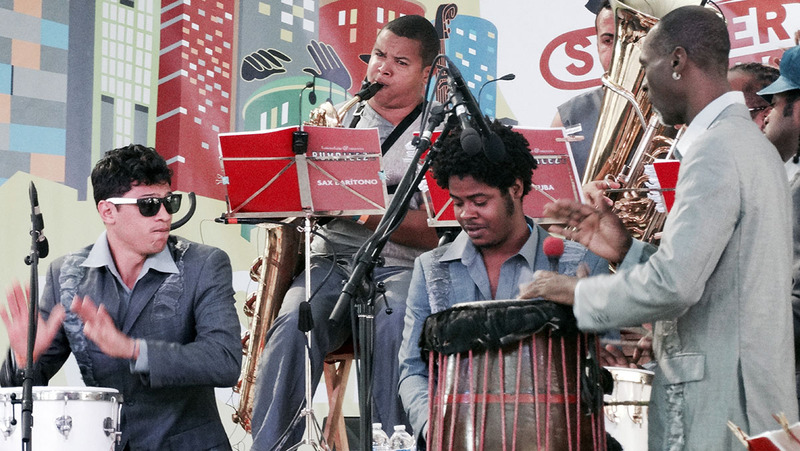 Prior to making their US debut at New York’s Lincoln Center out of Doors earlier this year, Orkestra Rumpilezz was a hot ticket. I didn’t attend, but my curiosity was peeked when the post-concert buzz far exceeded the pre-concert hype. When I learned the Orkestra was scheduled to appear at the San Jose Jazz Summer Fest, I was thrilled. 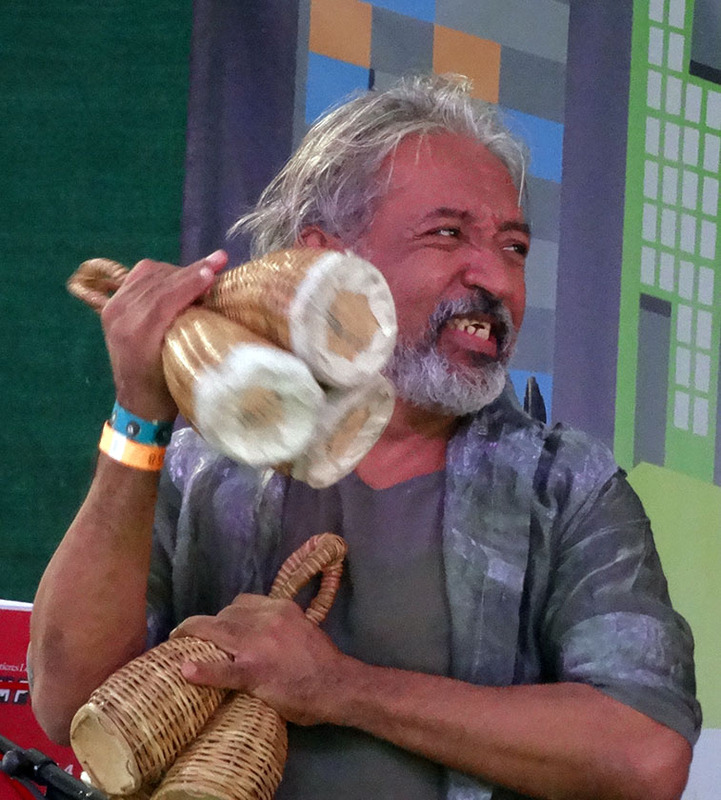 Formed in 2006 by musician, composer, arranger Letieres Leite, Orkestra Rumpilezz features five percussionists and fourteen wind-players who draw from traditional “Afro Blocos” (percussion groups), Bahian sambas, the sacred ceremonies of the Afro-Brazilian religion and modern jazz. I caught up with Letieres Leite & Orkestra Rumpilezz on Saturday afternoon at the Kaiser Permanente Main Stage, and I was struck by its size, scope, its unorthodox configuration and sound and its leader, Letieres Leite, whose small stature belies his commanding presence and devilish penchant for freedom and experimentation. 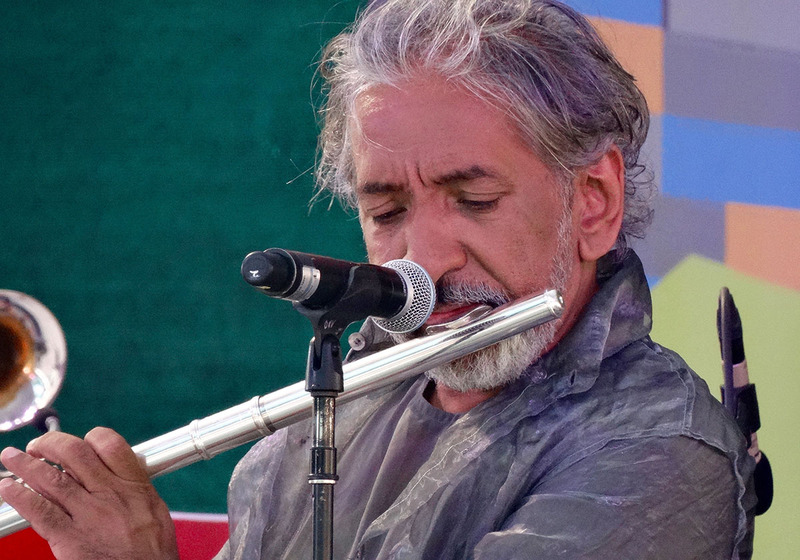 Leite was born in Bahia, honed his chops in Europe and has performed with Gil Goldstein, Paulo Moura, Alfredo de la Fe, Hermeto Pascoal, Gilberto Gil and Stanley Jordan among others. 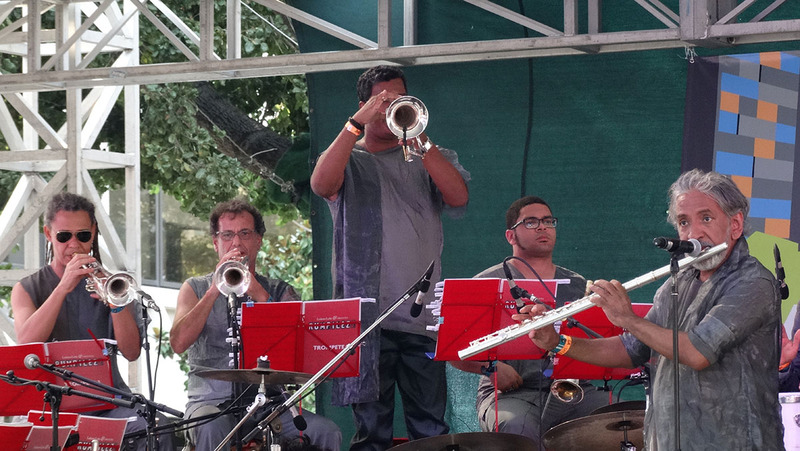 Orkestra Rumpilezz‘s music is ancient, modern, nostalgic, happy, melancholic, eclectic. 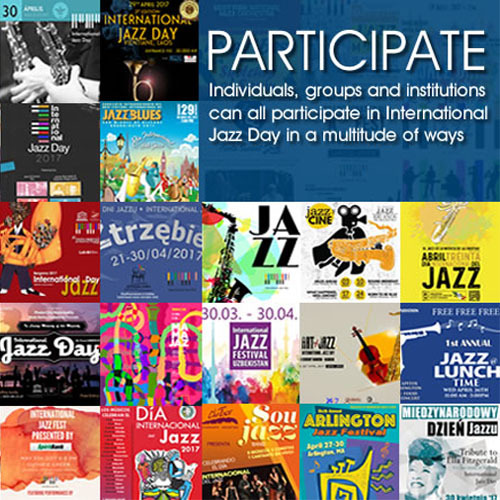 It defies conventional categories and pre-conceived notions of what Brazilian music and jazz, should or shouldn’t be. Put simply, it’s music without borders. 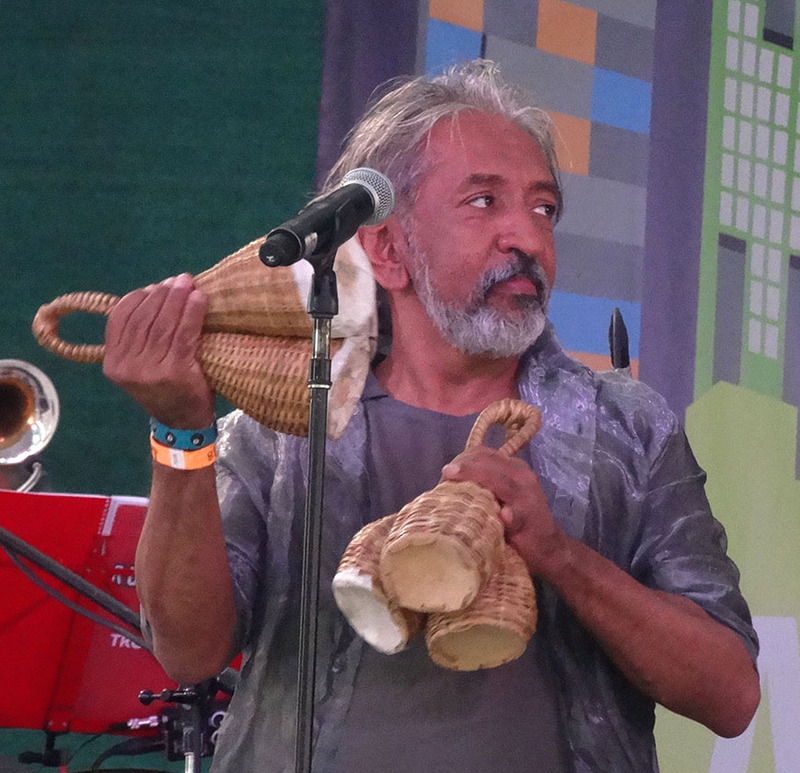 In addition to Orkestra Rumpilezz, the group Bloco Del Sol held a Samba Parade, that marched through the Salsa, Main & Blues Stage areas. Yet another example of San Jose’s efforts to connect with its community through art and music. 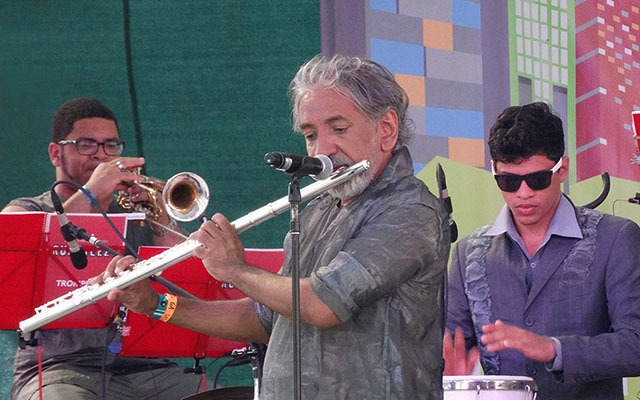 Did you know that San Jose Jazz Winter Fest is the counterpart to Summer Fest?